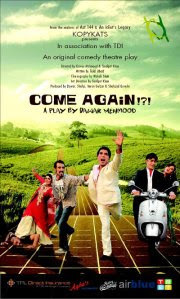 A play by Dawar Mehmood. Tickets will be available from the 1st of November 2011. What would a sensible guy do when in financial crisis? Simple... marry a rich dumb girl? What would a useless man do when in financial crisis? Simple... stick to that sensible friend! to make it on herself! and lastly the runaway brides's psyco groom.